After 34 years of conducting one of the nation’s most respected wine competitions, wine columnist/ journalist Dan Berger has changed the name of his former Riverside International Wine Competition. 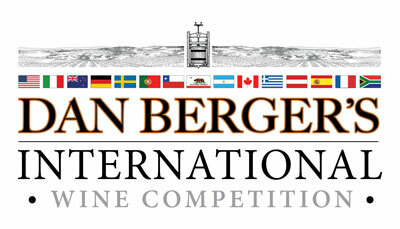 In 2016, the event’s name changed to Dan Berger’s International Wine and Cider Competition which is now in its second year. The list of twenty-four (24) internationally respected wine judges remains roughly the same, and the event’s carefully written rules -— based on those created 50 years ago by Prof. Maynard Amerine at UC Davis — remain applicable and scientifically valid. As in the past, judges will evaluate with an eye to regional identity, using appellations to benefit both wineries and consumers. The RIWC began in 1982 as an affiliate of the California State Fair system, and has been operated for the last 25 years as an independent event using the nation’s highest-caliber judges. “The name no longer reflects the local farmers’ fair as it started out. It’s been a long time since it was just a small, regional event,” said Berger. Some of the competition’s key people will remain as the event moves forward. The new DBIWC will offer a state-of-the-art online database accessible to wineries and consumers, as well as a professional coordinator, and a sophisticated new logistics system. With over three decades of history and industry knowledge, the new DBIWC will be more valuable and meaningful to the wine industry and to consumers. The organizers wish to thank the wineries that have entered the RIWC in the past, and encourage entries for the new enhanced 2017 event. New in 2016 was a greatly expanded International cider competition featuring five recognized cider experts, and 12 carefully drawn categories that cideries may use for entering their products.